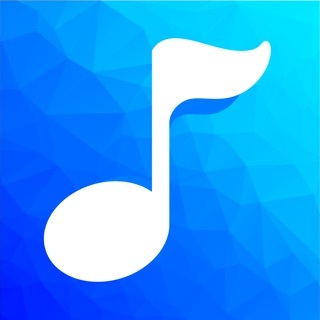 TREBEL is the only licensed free music app that lets you download songs and albums, and play them offline, for free. Now you can listen to music you download anywhere with no WiFi. TREBEL is engineered for unlimited music downloads and uses less phone battery then music video sites and works with no cellular data plan. iOS 10.2 or GREATER REQUIRED. Like the app? Rate us 5 stars and hit us up on Instagram @trebelmusic! Downloading free music on TREBEL is as easy as tapping a button. No more wasting time on torrent sites or stream ripping YouTube videos to MP3 in order to get the music you love. If you have a large iTunes collection already, TREBEL automatically syncs your existing library so you can combine your own music with songs downloaded for free on the app. We’re working hard to get more free music content for offline playback. If you see a song or album that we don’t offer, tap on “Coming Soon” and we will let you know when it’s live on the app. TREBEL is a licensed service with the best music in the world from Universal Music Group, Warner Music Group, Sony Music, and The Orchard. If you love the app, please rate and review it with 5 stars! New music from Blackpink, Nipsey Hussle, J Balvin, Thomas Rhett, Juice WRLD, Sofia Reyes, Jonas Brothers, J. Cole, Benny Blanco and more. Plus speed and stability improvements. Love the app? Check us out on Instagram @trebelmusic for behind-the-scenes peeks from your favorite artists. Questions or suggestions? Email​ us at hello@trebelmusic.com. We are always listening.